Out at last! The long awaited return of Stud Cole! 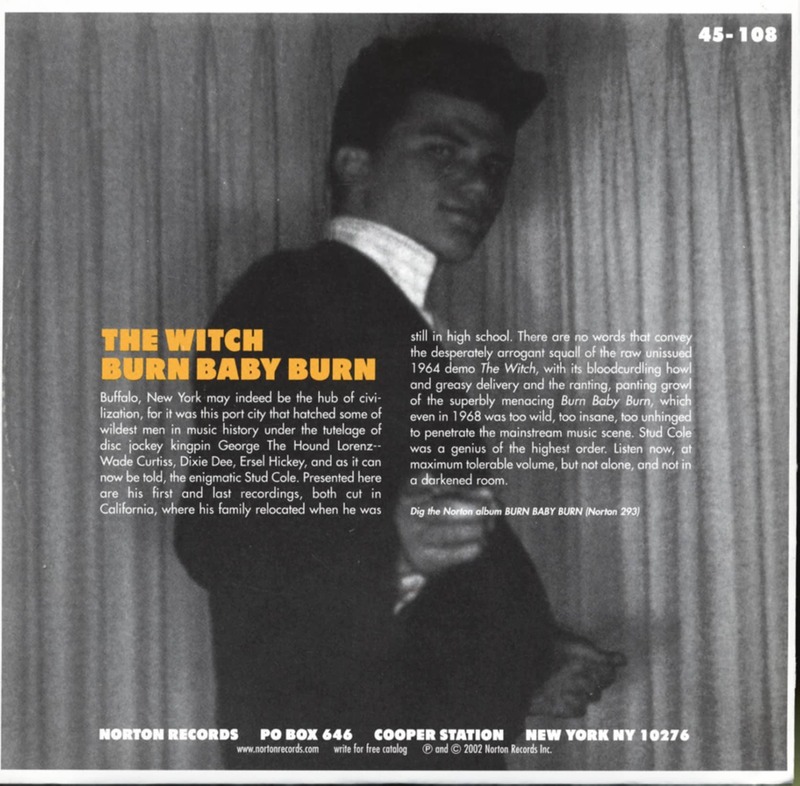 Dig the legendary Los Angeles loner on a teenage rampage with this introductory sample pairing of his earliest demo--a screamin' never-issued early rocker-- with the taunting frenzy of his super scarce 1968 singe 'Burn Baby Burn.' Yardbirds amped way up and stoket, daddy, STOKED! Yaaaarggh! 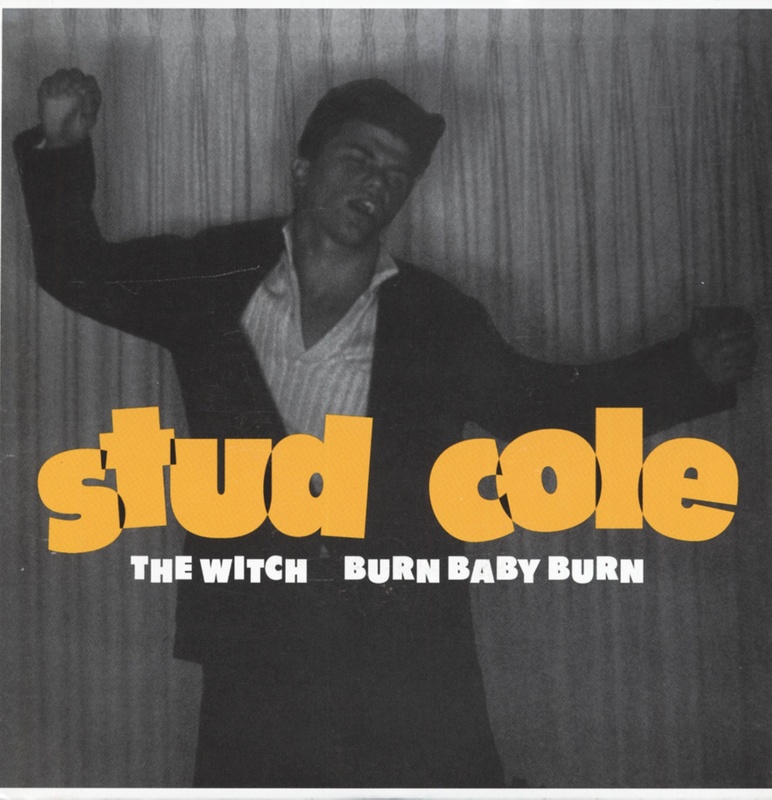 Customer evaluation for "The Witch - Burn Baby Burn 7inch, 45rpm"